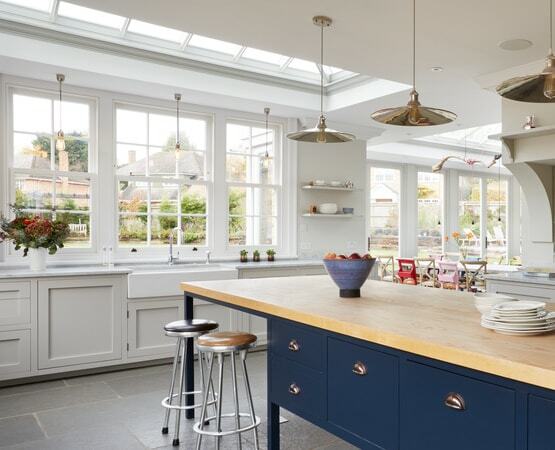 The owners of this elegant Georgian property embarked on a complete renovation project, wanting to update their existing building and add a beautiful, large Orangery extension to the rear of their property. 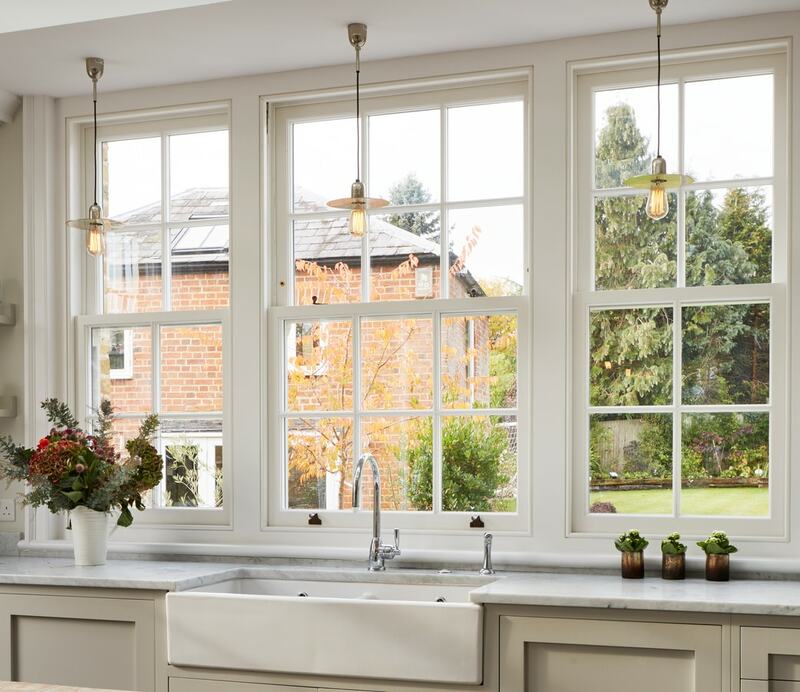 As part of their renovation plans, they were keen to replace their existing windows with high-performing, insulating timber windows. 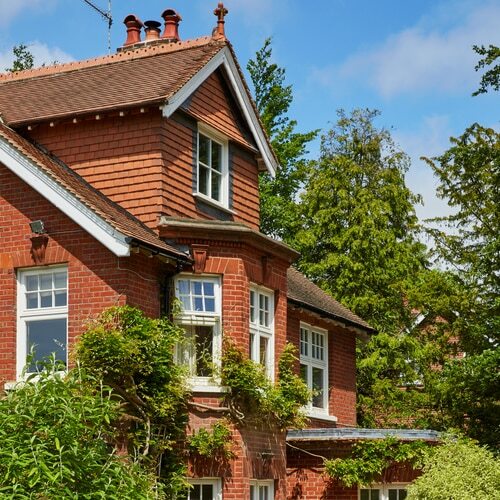 While the client was keen to choose superior glazed windows that would stand the test of time, they also wanted to ensure that their home would not lose its original period character. 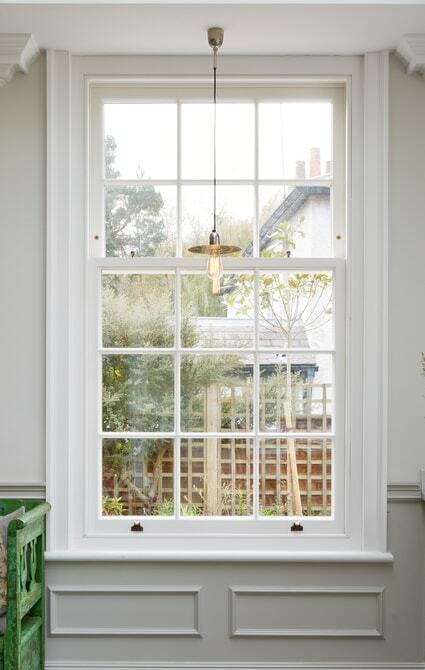 Westbury worked closely with the homeowner, offering a professional service and taking a collaborative approach to supply them with standard weighted box sash windows sat in recessed reveals. 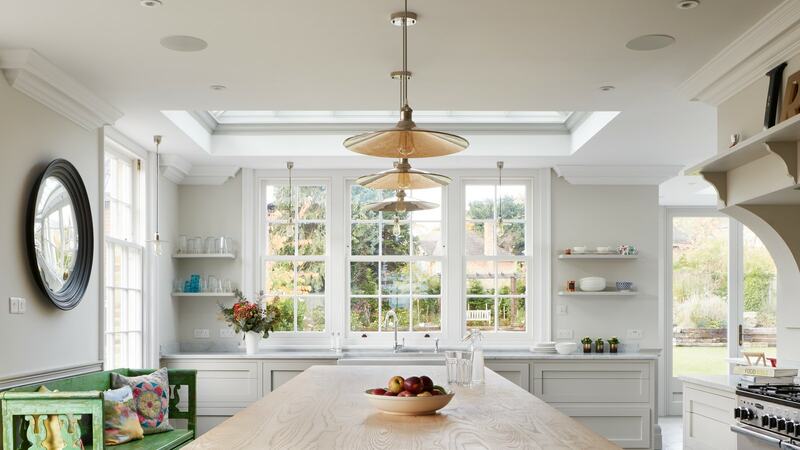 On the first floor of this stunning property, timber sash windows were installed at the rear with shaped, curved top rails. 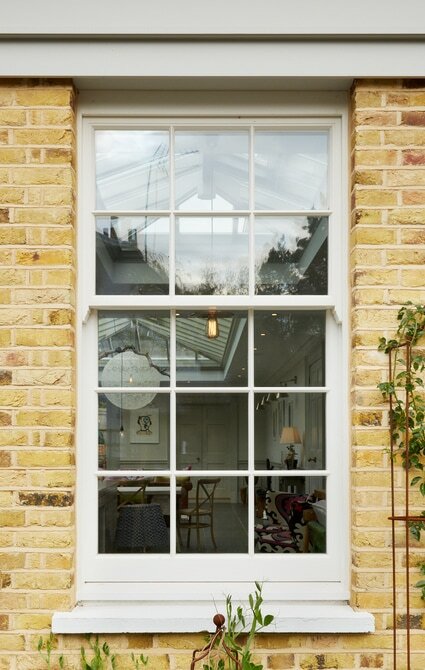 These rails cleverly follow the line of the existing brick arch in the wall above the window, ensuring that the design perfectly fits with the style of the building. 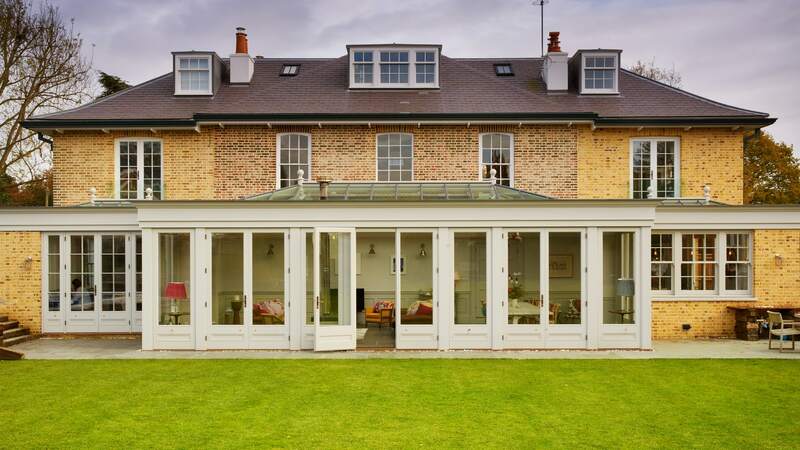 A set of French doors were also added to the rear of the property, on the ground floor to the left of the new orangery, leading out from the large open-plan kitchen and dining area. 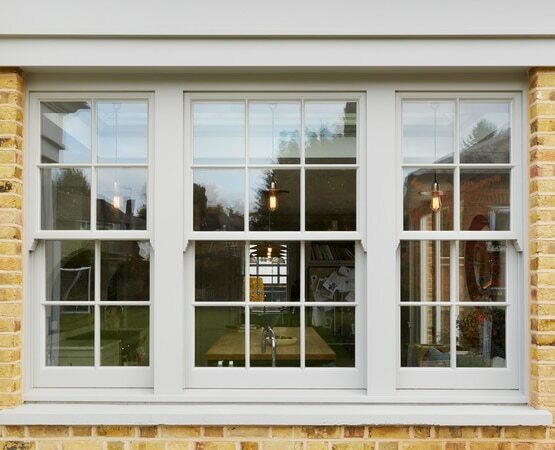 Two beautifully crafted, inward-opening Juliette French doors were also included to the rear of the building, on either side of the house on the first floor. These unique doors let in a great deal of natural light into the bedrooms, while bringing a classical charm to the property with a design that balances symmetry and proportion. 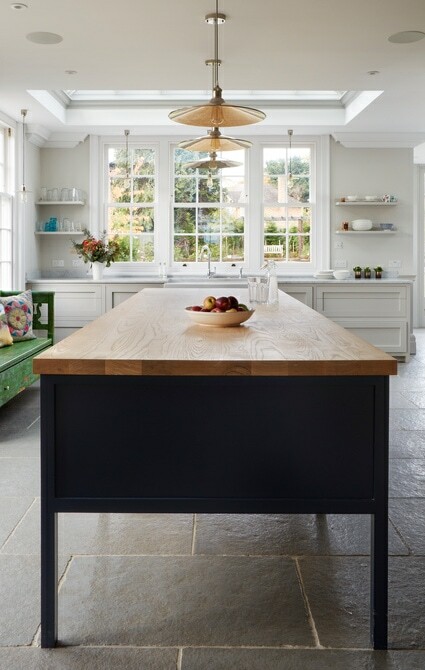 The French doors, orangery and sash window on the ground floor were all painted in New Salt Stone, creating a smart finish combined with the polished brass ironmongery. 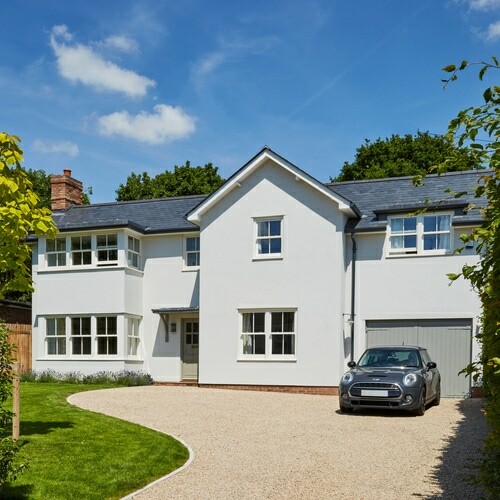 Using our expert design knowledge and listening to our client’s needs, we supplied timber windows and doors that perfectly complement the rest of the property. 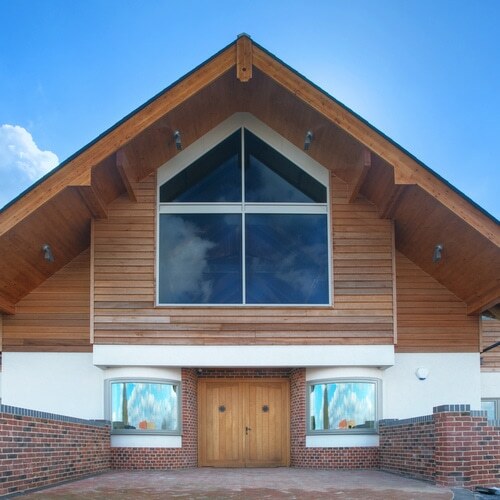 The owners can now enjoy their property for years to come while benefiting from modern windows made from the highest quality materials. 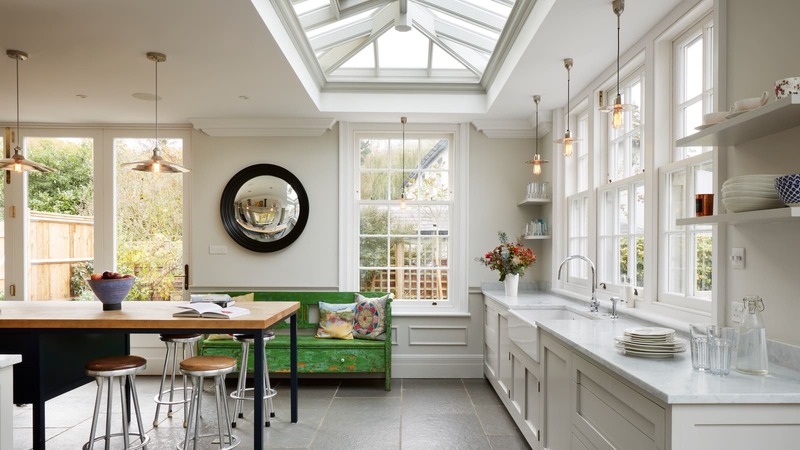 The orangery was designed, made and supplied by our sister company, Westbury Garden Rooms.